We are delighted to announce that the renowned Canadian-born/Switzerland-based author, anthropologist and activist Jeremy Narby, one of our favorite people on the planet and one of the most spellbinding speakers ever to grace our main stage, is returning to give a keynote address at Bioneers in 2017 after several years’ absence. Jeremy has been highly effective in his backing of many initiatives by and for the indigenous peoples of Amazonia in such domains as: land titling, self-determination, bilingual education, sustainable resource use, preservation of plant knowledge, environmental monitoring of petroleum companies, and of course the protection of the integrity and biodiversity of the tropical rain forest. Jeremy has carried on this extensive, remarkable activist work discreetly, so his accomplishments on that front are not widely known. 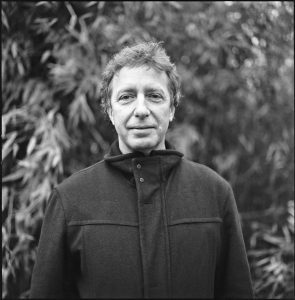 Jeremy (who studied history at the University of Kent at Canterbury and got his doctorate in anthropology at Stanford) is far more well known internationally for his authorship of some groundbreaking books and his thought leadership in seeking to reconcile indigenous wisdom traditions with modern scientific approaches to knowledge. He is uniquely well suited to this pursuit because he is a rigorously trained anthropologist and highly literate in several contemporary scientific fields, but he also lived among the Ashaninca in the Peruvian Amazon for several years and became immersed in shamanic ways of seeing the world, which impressed him by their profundity and sophistication. His profound respect for both these seemingly irreconcilable cognitive systems has driven him to make it his life’s work to seek to find common ground between them, something he has done with extraordinary originality, insight and clarity. His books include:The Cosmic Serpent: DNA and The Origins of Knowledge;Intelligence In Nature; The Psychotropic Mind: The World According to Ayahuasca, Iboga, and Shamanism (with Jan Kounen and Vincent Ravalec); and the collection: Shamans Through Time: 500 Years on the Path to Knowledge (co-edited with Francis Huxley). Jeremy also sponsored a few experimental expeditions that brought small groups of molecular biologists and other scientists to the rainforest to experience indigenous knowledge systems and visionary plants. One of these journeys was captured in a documentary film, Night of the Liana. We hope you can join us in October to hear one of the most brilliantly original thinkers of our time. Here’s a clip of Jeremy’s talk at the 2005 Bioneers conference.